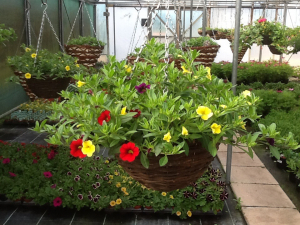 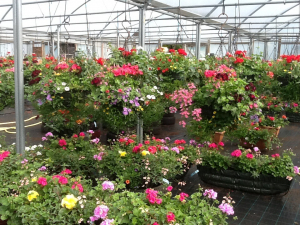 Hanging garden nurseries has been planting for over 27 years now and we are probably the best in Essex at planting a hanging basket! 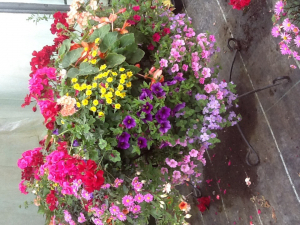 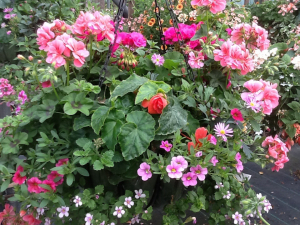 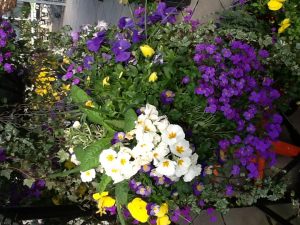 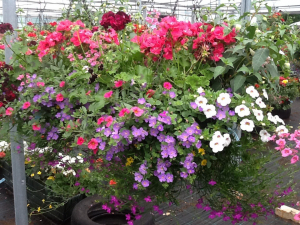 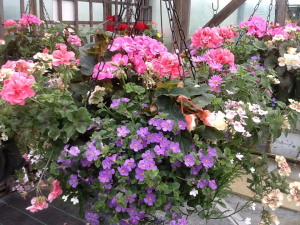 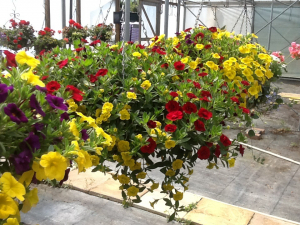 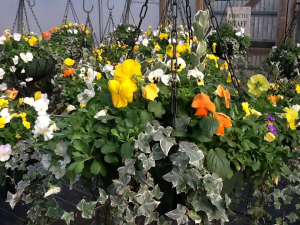 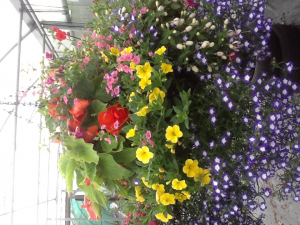 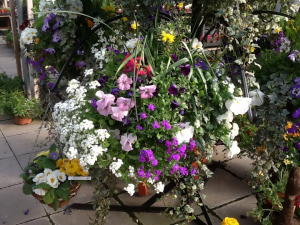 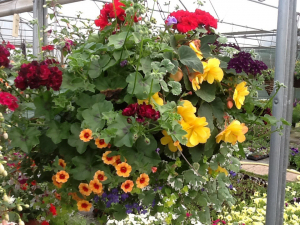 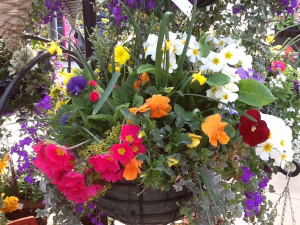 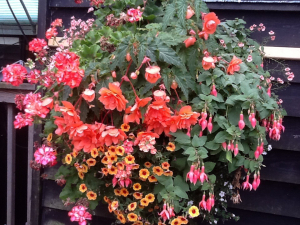 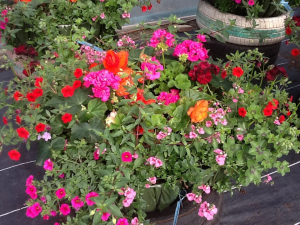 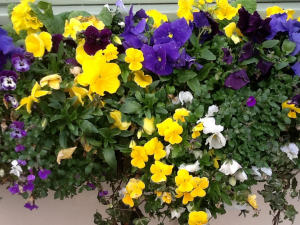 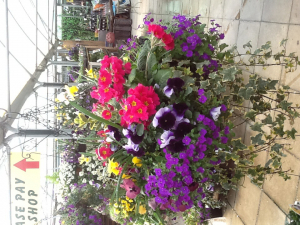 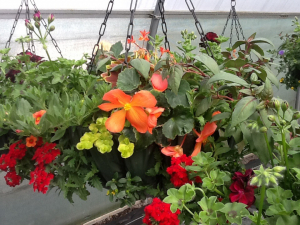 We plant summer and winter baskets to ensure you are never without some colour in your garden whatever the season. 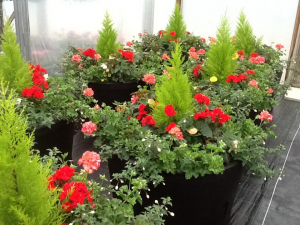 We offer a refill service which gives you great savings!! 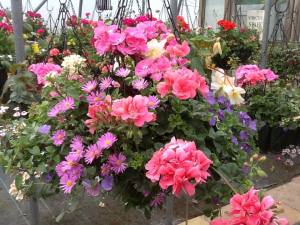 pop in for more information…No job is too big or too small, We fill hundreds for councils and business’s as well as individual customers! 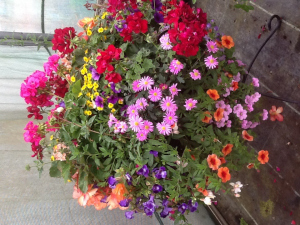 Summer baskets are filled with our home grown plants in many colour schemes so there is always something to compliment your home, whether it is country cottage pastels or tropical eye catching brights. 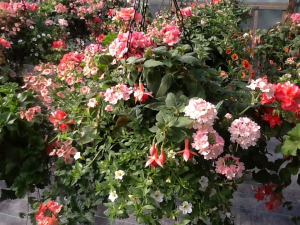 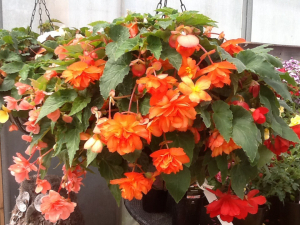 We use geraniums, begonias and fuchsias as the show stoppers and, complimenting these, is an Abundance of trailing baskets plants. 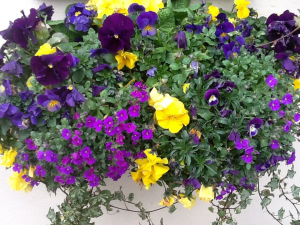 Beautiful from May until mid to late October. 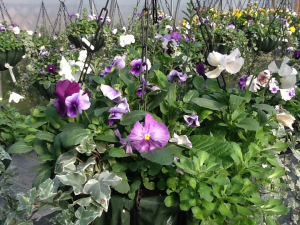 Winter baskets are packed full of pansies, polys, aubretia, ivy and a huge selection of spring flowering bulbs to surprise you! 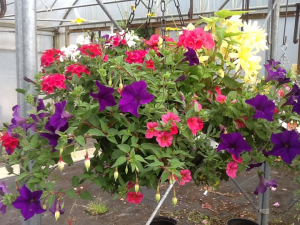 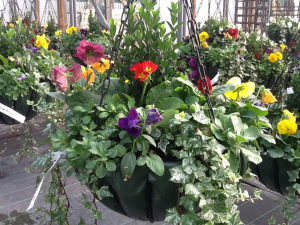 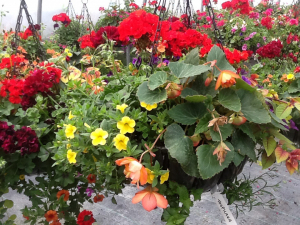 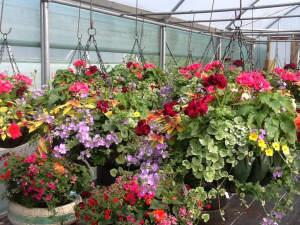 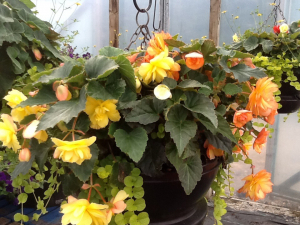 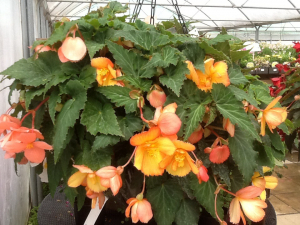 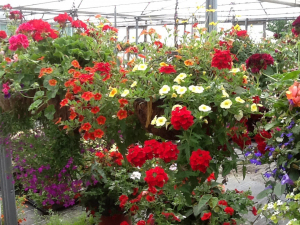 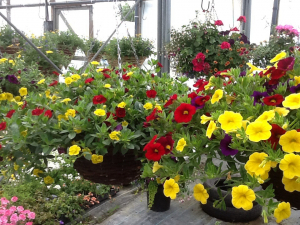 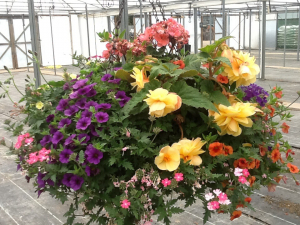 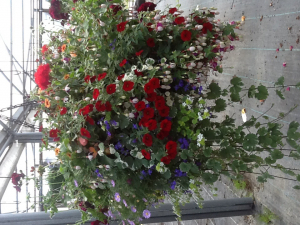 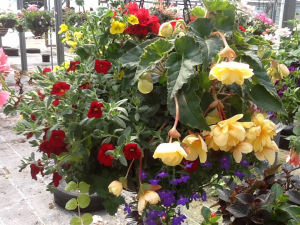 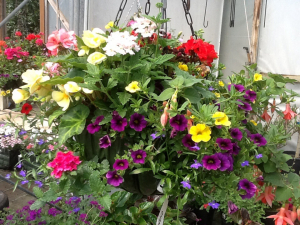 These baskets are truly beautiful and give you colour from September through to late May! 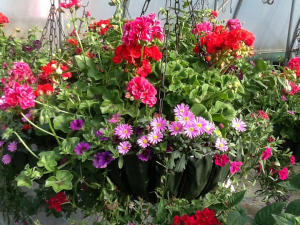 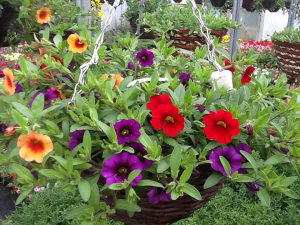 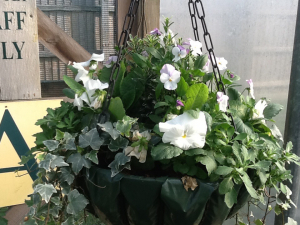 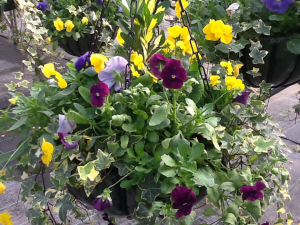 If you enjoy enjoy your garden you must try our baskets!